Markets in 2014-2015 have been rife with fluctuations. The run up to the elections and its aftermath were great for the stock market. There was new optimism about the economy, industry, and business. Oil prices went down and inflation subsided. Though the market has gone down, there is not much downside in blue chip companies and mutual funds comprising of these companies. The government is clear about manufacturing and is providing faster clearances for factories to be set up, production to start, and energy to be given to the industry. “This may take a few months to operationalize, but the trend is clear. The projects that were in limbo for the last couple of years have started getting approved. This will create significant momentum and wealth for large firms and their investors. Blue chip equity funds are offered by HDFC Mutual Fund, Birla Sun Life, Reliance and many more,” says Adhil Shetty, founder & CEO of BankBazaar.com. Many investors are not comfortable with pure equity funds because of high risk associated with the fund. Hence, they look for an avenue that is less risky and also takes advantage of market movements partially. Balanced fund is a good choice for such investors. “Balanced funds invest a part in equity and a part in debt. The equity part moves up and down as per the market and the companies they represent, while the debt part is relatively consistent in returns. The overall return is determined by the weighted average return of equity part and debt part,” informs Shetty. EPF and PPF are risk-free investments offering returns of about 9%. There are many advantages of investing in EPF and PPF. They are risk free because they are backed by the Government of India. Moreover, the interest earned is also tax free. You can also save taxes on PPF and EPF investment, subjected to the limit of Rs 1.5 lakh under 80C. Generally, EPF is done by your employer, and you and your employer both pay equal amount towards your EPF account. Apart from the post office, PPF account can now be opened in any bank. Walk down to the nearest branch of BoI, Bank of Baroda, ICICI Bank or any other bank to open your PPF account. The maximum amount that can be invested in PPF in a year is Rs 1,50,000. This can be done in a maximum of 12 deposits in a year, and not necessarily each month. The minimum amount required is Rs 500. PPF has a tenure of 15 years, though you can withdraw it before 15 years, subject to certain conditions. 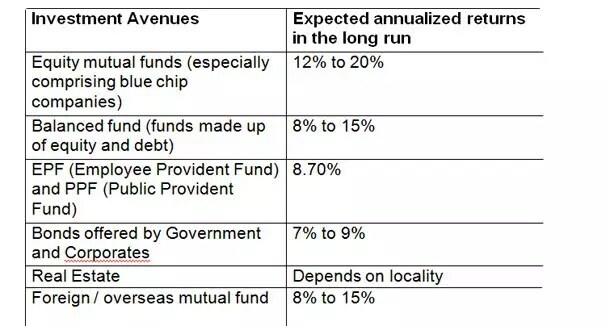 According to financial experts, conservative investors can still bank on EPF for creating their retirement corpus, but for investors with low or moderate risk profile and limited or no other retirement benefits, PPF currently appears to be the best option as returns are to a large extent guaranteed and the withdrawals after the mandatory holding period are tax-free. Bonds are another avenue that is risk free. The bonds offered by the government are risk free because the government usually doesn’t default on the payment. If everything fails, they can always print new notes and pay the bond holder (at the cost of inflation though). As far as corporate bonds are concerned, bonds offered by large firms with sound business models are preferable. There is a small risk in corporate bonds in case the company goes bankrupt. However, bonds by Tata, Mahindra, Reliance, L&T etc. are almost risk free. 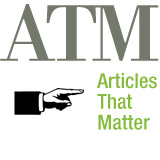 “The best way to identify a good bond offering is to look at the rating. All the bonds offerings have to go through a mandatory rating by a rating agency. The rating agency decides the rating based on the company’s ability to honour its obligations to bondholders, i.e. whether it can pay the interest and principal on time. A high rating is an indication that the risk is low,” says Shetty. For the last couple of years, the real estate sector has disappointed investors. The market is not showing any discernible trend in this sector. Additionally, the real estate sector is mired in many controversies, corruption, and injurious practices. However, the main contributing reason for the prevailing widespread scepticism was low economic growth and even lower expectation of future growth. However, with the new government focused on economic growth, the real estate sector will bounce with the first hint of an uptick in growth. Moreover, projects such as smart cities will provide ample opportunities to investors in the real estate sector. But investors should be careful of a few companies which are embroiled in controversies and legal battles with the government and consumers. This is another area that investors usually don’t consider due to minimal or zero awareness about foreign companies and markets. However, many mutual fund companies such as DSP Black Rock, Franklin Templeton and others offer mutual funds focused on foreign countries. These funds invest in many countries based on the nature of the fund. For example, an emerging market fund may invest in China, Indonesia, Vietnam and Brazil, while a fund focused on oil exploration may invest in US shale oil companies, Saudi oil field companies, among others. While investing is important, assessing your investment periodically is vital for your wealth. Even if you don’t check stock prices or mutual fund NAVs every week or every month, it is vital to take a comprehensive look at all your investments every 6 months or a year. During such assessments, it is important to avoid impulsive decisions to sell or buy. The purpose of assessing your investment is to find new avenues of investment and discard an existing one if things have gone bad. “You also need to know a few key parameters of any asset that you want to invest in. For example, if you are considering a particular mutual fund, look for annualized returns for the last 5 – 10 years instead of just the previous year’s returns. Look for the expense ratio, which is the percentage of investment charged to you. Look for sectors and companies where the mutual fund is investing. All these data is available on any of the numerous financial websites that give out such information,” says the CEO of BankBazaar.com. Finally, don’t wait for the right time. The most important thing in investing is to start it, no matter how small your investment is. Begin with a small amount and grow the investment, thereby gaining in experience about the markets.